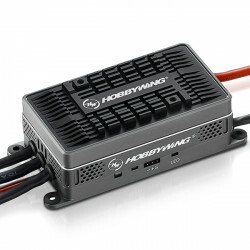 Hobbywing Platinum PRO V4 160A -HV ESCThis is the Hobbywing Platinum Pro V4 160HV ESC, for use with ..
Hobbywing Platinum PRO V4.1 200A -HV ESCThis is the Hobbywing Platinum Pro V4.1 200HV ESC, for use w..
Hobbywing Platinum 60A V4The Platinum range of ESC from hobbywing are the top of the range ESC's, an.. High-performance microprocessor with the operating frequency up to 50MHz brings excellent compatibility (with most motors in the market) and high driving efficiency. The maximum motor speed can reach 210000 RPM (for 2-poles), 70000 RPM (for 6-poles) and 35000 RPM (for 12-poles). Multiple flight modes: Fixed Wing Airplane/ Heli with Governor Off/ Heli with Governor (Elf) / Heli with Governor Store. 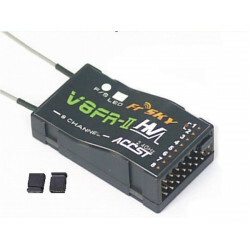 Adjustable throttle range, compatible with various transmitters. It brings smooth, soft & linear speed adjustment and rapid throttle response. Microprocessor powered by independent DC regulator has better anti-interference performance, which greatly reduces the risk of losing control. Brand new governor program, easy to operate; and its excellent speed-governing effect can make big rotor blades more stable even under rapid load change. ”Restart in auto rotation" can manually interrupt the auto rotation and quickly restart the motor to avoid crashes caused by incorrect operations. Independent output port for RPM (that is: motor speed) signals. Upgradeable firmware, you can upgrade the ESC after connected it to a PC via the USB cable on the program box. The independent port, for connecting the program box and setting parameters, can also be the output port of the running status data of the ESC. When coordinating with the data transmission module, it can make the real-time data monitoring and logging possible. 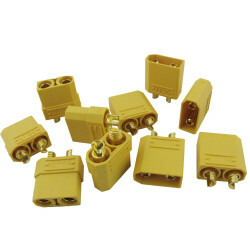 Multiple protection features including input voltage abnormality protection/ low-voltage cutoff protection/ throttle signal loss protection effectively prolong the service life of the ESC.